Henager’s Memories & Nostalgia has opened the largest Abraham Lincoln Bicentennial exhibit in Indiana. The museum is located on Hwy. 57 in Buckskin, Indiana. The exhibit is titled Abraham Lincoln’s Legacy: How it Has and Continues to Influence our Region and Country. It exhibit opened October 2008 and runs through December 31, 2010. 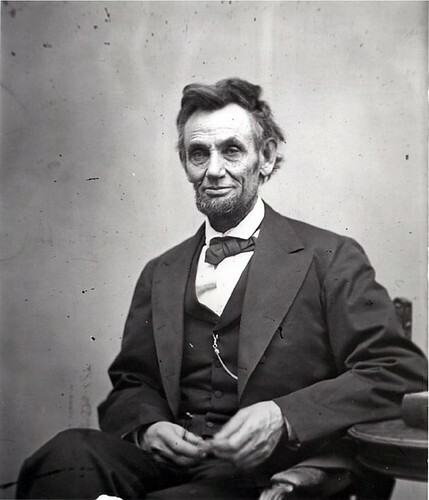 The exhibit includes approximately 300 Pieces of Lincoln memorabilia and more than three hours of film footage pertaining to Lincoln and his legacy. The centerpiece of the display is a flag that flew over the Capitol Building in Washington, D.C. on the first day of the Lincoln celebration. Items have come in from all over the country as well as the National Park Service. If you’re interested in visiting a unique museum just outside of Evansville, be sure to drop by Henager’s Memories & Nostalgia. Directions: I-64 exit 29B, then north on Hwy 57 for 4.5 miles.